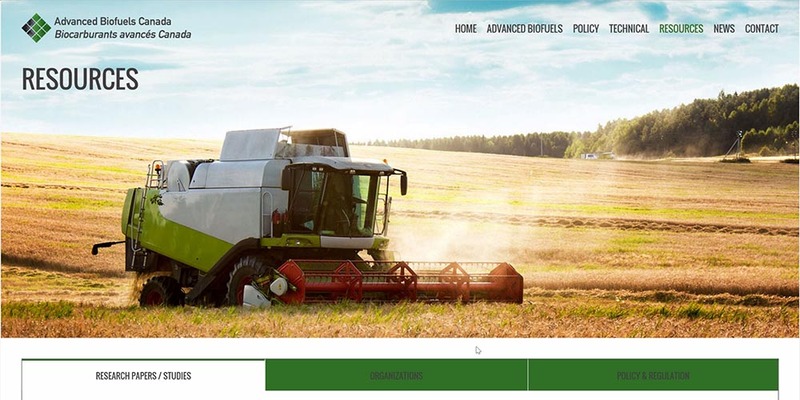 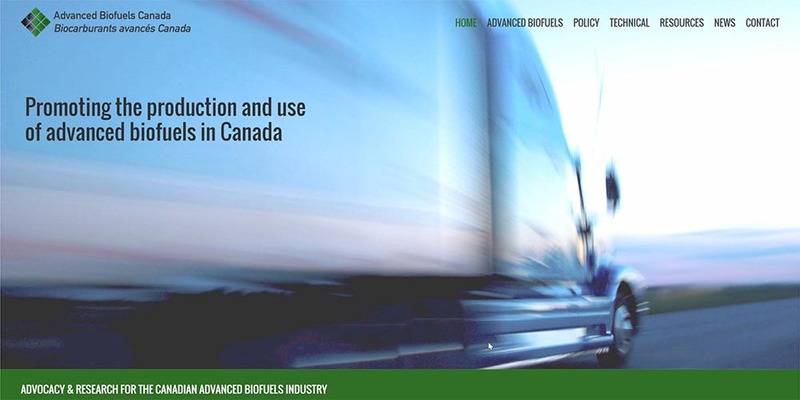 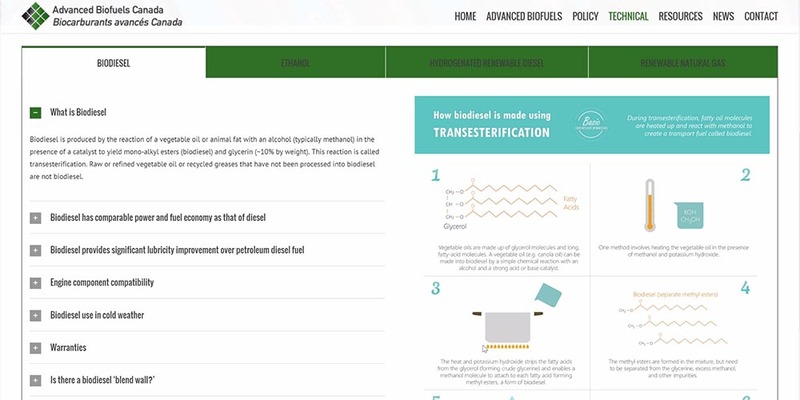 Advanced Biofuels Canada is a national industry association that promotes the production and use of advanced biofuels in Canada and works with stakeholders to expand market access for sustainable low-carbon biofuels in Canada. 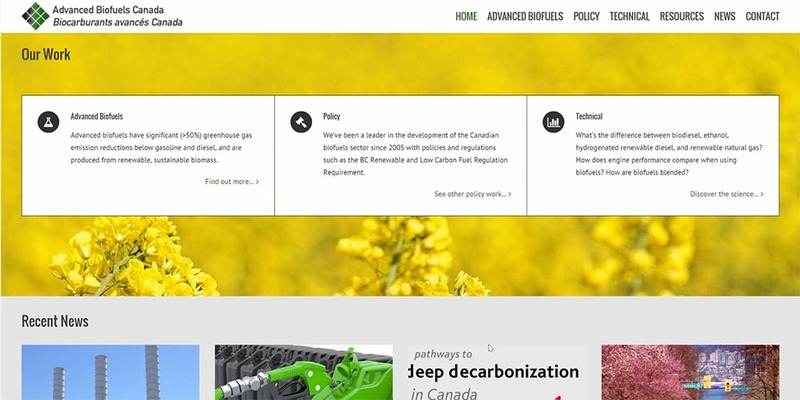 They called on Big Picture to help develop a visual identity, and build a web platform to convey their work and sector resources to the public. 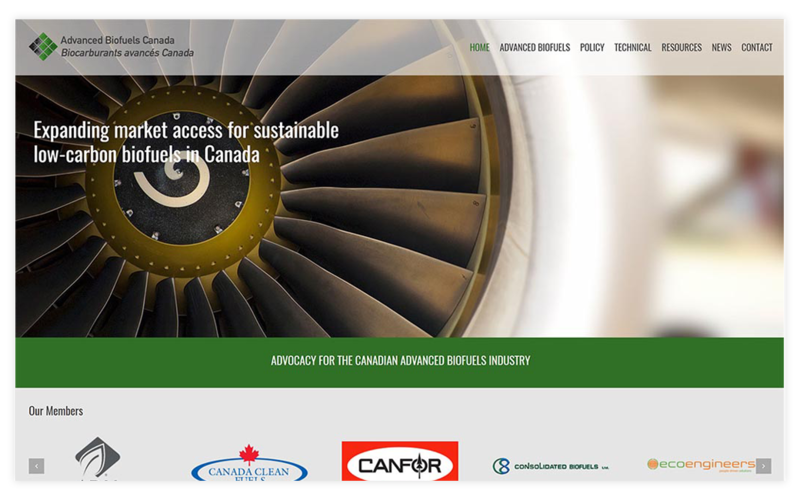 Big Picture Websites worked closely with ABFC to design and build a complete, full-featured website that showcased the not-always-photogenic work of policy and advocacy work the association does, while conveying both professional education materials and resources to a range of visitors, both industry and civic alike.